Was/is Jyotiṣa part of Āyurveda? Is there Jyotiṣa in Āyurveda? That question has different answers from different perspectives. If we approach it from a Western philological exclusivist perspective, then no. 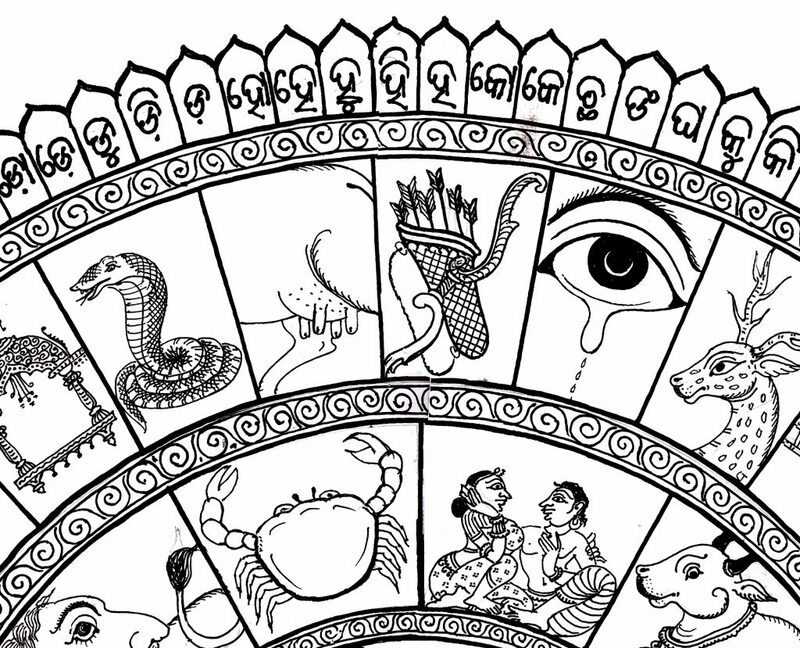 In the Bṛhat Trayi, there is not mention of the signs of the zodiac, planets or aspects and so by a philological definition there isn’t ‘astrology’ in the classical Āyurvedic texts. From a traditional Indian perspective, Jyotiṣa is a much larger concept than planets and aspects. The classical Āyurvedic texts are focused on internal medicine (kaya-chikitsā, also known as yukti-vyapāśyraya). Jyotiṣa is kārmik medicine (daivya-chikitsā/ daiva-vyapāśraya). Commentary on Charaka Saṁhitā (nidānasthāna I.4) states that focus is on doṣa based treatment not on the mental treatment (satvāvajaya). We infer from this, that there is an intent of the text to be focused on the specific area of internal medicine not mental or kārmik treatment. Daivya chikitsā works with the causal body and karma (or fate caused by past actions). Charaka Saṁhitā mentions the impact of karma on health and diagnostics (3.3.20, 4.2.36, 4.3.17). He states that even if you do everything right you’ll be healthy, unless it’s your karma otherwise (1.28.43-44, 4.2.43). There are multiple statements where Charaka mentions “kārmik disease” (karma-ja roga). Charaka does not discuss how to do diagnostics for kārmik disease but he does mention methodologies for treating kārmik disease when discussing daivavyapāśraya. Not more is given because that is not the intention of the text – nor does Charaka discuss how to treat bhūta disorders which is often discussed in the Jyotiṣa texts. Charaka Saṁhitā mentions picking herbs on certain stellar asterisms (nakṣatras). This indicates the text is aware of the nakṣatras and an understanding that they impact medicine and healing. Why would Charaka say it’s best to take a bath on puṣya naksatra? That requires believing that the energy of the day is impacted by the star position of the Moon, and that this energy impacts the healing process. Puṣya nakṣatra is considered to be nourishing and healing and starting therapies on the day when the Moon is in that star cluster is believed to make medicine have a more healing and nourishing capacities. This understanding is inherent in Charaka’s prescription to utilize this astrological time. Aṣṭāṇga Saṇgraha similarly discusses astronomical times not to study or see clients. In śārīrasthāna 8.19, Charaka advises having the Vedic priest perform the puṁsavana ritual when the Moon is in puṣya nakṣatra. 8.20 says herbs worn as a talisman should also be bathed with on puṣya nakṣatra. 8.35 advises entering the maternity home on beneficial day (puṇya-ahas), an auspicious lunar sign (nakṣatra) and lunar phase (tithi and karāna) and a friendly astrological time of day (muhūrta). A similar prescription for choosing an auspicious astrological time is stated more generally in sūtrasthāna 15.9, where therapeutic vomiting is said to be done in the proper Moon constellation, Moon phase, and time of day (nakṣatra-tithi-karaṇa-muhūrta). Śārīrasthāna 8.50, discusses the naming of the child. It advises the first name to be related to the deity of the nakṣatra that the child is born under. It is mentioned that this name should be either two or four syllable long. In the Jyotiṣa texts, it is explained that this difference of syllable is based on the guṇa of the sign the child is born under. In later texts, there are larger descriptions of the different naksatras – when to take certain medicines, when to do certain therapies, and when to do certain surgeries. We have those prescriptions both in later Āyurvedic texts as well as a group of texts describing auspicious times (muhūrta) to perform activities. The Jyotiṣa muhūrta texts list astral calculations for choosing the correct time for rituals (yagya) and different important life moments (saṁksāras): the first solid food for a baby, starting school for first time, the sacred thread ceremony, doing operations, getting married, planting your field, or taking medicines. How to determine these auspicious times are in the muhūrta texts which indicate which days are astronomically beneficial (puṇya-ahas), which lunar signs are auspicious (praśasta-nakṣatra), which lunar phases are agreeable (kalyāṇa-tithi and karāna) and which times of day are friendly (maitra-muhūrta). This determination is not the dominion of internal medicine, so they are not calculated in Charaka Saṁhitā. Yearly calendars (pañcāṅga) were made by qualified astrologers and doctors could consult these for beneficial timing. Conversely, when we look at the Jyotiṣa texts, we see references where each of the planets is described by its guṇa and vāta, pitta, or kapha constitution, and each dhatu is related to a planet. 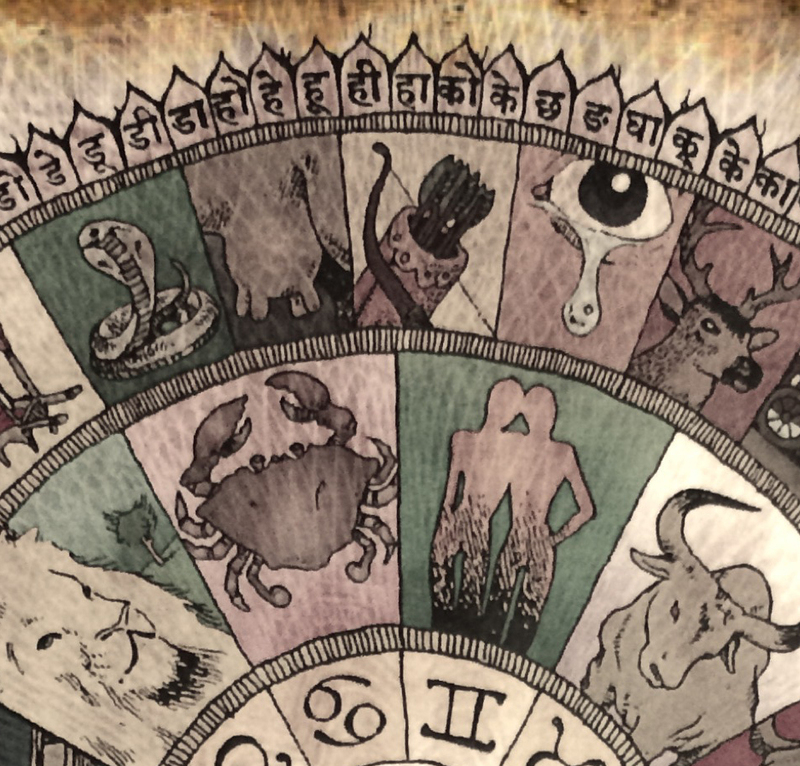 The signs of the zodiac are listed by their guṇa and vāta, pitta, and kapha components. Occasionally, there are certain combinations that mention that ‘this’ causes pitta imbalance or ‘that’ causes a vāta imbalance. These specific combinations are a minor portion of the Jyotiṣa texts, but the intermixture of Āyurveda and Jyotiṣa is inferred by the indications of the planets and signs involved. We understand from the Jyotiṣa texts that there was a concept of dhātus and doṣas present and they are used according to the science of Āyurveda. A philologist may argue that the Jyotiṣa texts don’t use Āyurveda. But we see these references as inferences similar to Charaka’s understanding of nakṣatra and muhūrta. The Jyotiṣa texts don’t define digestion (agni) or strengthening that digestion, or bio-purifications (pañcakarma) or anything of this nature because that is the topic of the Āyurvedic texts. We see reference to each other within each of the pertinent texts similar to a modern text on anatomy, which does not teach you how to do surgery. We may know it is aware of surgery, but it is not containing how to do surgery. The texts in surgery reference anatomical terms. They’re not teaching anatomical terms and expect one to know them separately. Similarly, these two texts infer the knowledge of each other, but don’t teach knowledge of each other. We see this in the Jyotiṣa texts and the Āyurvedic texts. Just as medicine and technology have evolved in the modern era and there are time periods in history where different sciences have more growth than others. Certain renaissances happened over the last 3000 years in India. If we compare Charaka Saṁhitā to Aṣṭāṅga Hṛdaya we see there are certain changes that happened over this particular period of time and certain knowledge of herbs changed. Similarly, we see a certain style of Jyotiṣa being done and in Mahābhārata and such early texts, and then we see Jyotiṣa evolving as well as being influenced by the Middle Eastern and Greek interactions. On this point, be careful falling in to the Eurocentric paradigm the says Indians got their astrology from the Greeks (to prove that Europe is the center of civilization). When we look at the archaeological, geological, and geographic evidence we know that there was a constant interaction between Indian, Mesopotamian, Babylonian, Persian, Egyptian, and the later Greek civilizations. All these civilizations were interacting and sharing knowledge. What we have in present day India has a long evolution to its present state. And astrology is continuing to evolve with the power of technology and modern research capacities. In some modern spheres, astrology is looked down upon as a pseudo-science because it doesn’t fit with the modern concept of science and more particularly scientism. In the ancient world, astronomy and astrology was one of the most respected sciences, sponsored by kings. If we look at some of the ancient observatories, they utilized some of the highest levels of science in the ancient world. The scientists who created the modern revolutions in science, like Copernicus, Galileo, Keppler, were astrologers. Even after their great discoveries, they remained astrologers. Western scientism tries to downplay astrology, but in the ancient world and in the tradition of Vedic culture, astrologers were often revered. So revered that we see references that sometimes poke fun of them or put them down because they have such big egos due their position and needs in society. Is Jyotish part of Ayurveda? It’s not really the correct question. Āyurveda is specifically focused on kāya-chikitsā treating the physical body (sthūla śārīra). Jyotiṣa is daivya chikitsā treating the causal body (kāraṇa śārīra). Jyotiṣa is a branch of Vedic practice treating disease that is caused by karma, and ensuring our present actions are done with beneficial karma. Jyotiṣa and Āyurveda are complementary sciences that acknowledge and support each other. Aṣṭāṇga Saṇgraha (2.5) says one should not study on eclipses (rāhudarśana), full moons and new moons. When discussing a good prognosis (2.29) of disease it mentions beneficial planetary constellations. In the chapter on medicines (12.5) it mentions the three levels of treatment. It defines daivavyapāśraya as chanting hymns (mantra), wearing herbs (auṣadhi) and gems (māṇi), auspicious acts (maṅgala), gifts/sacrifices (bali), fire ceremony (homa), practices of restraint (niyama), atonements (prāyaśchitta), fasting (upavāsa), getting blessings (svastyayana), offering oneself to divine protection (prāṇipāt), pilgrimage (gamana), etc. (adi).